It’s my dream to have someone else handle my clothes shopping for me – and thredUP’s Goody Boxes are now fulfilling that dream, at a super low price. thredUP Goody Boxes are a try-before-you-buy service that acts like a personal shopper for you – sending you a box full of a huge amount of clothes they think you’ll like, tailored to your style. 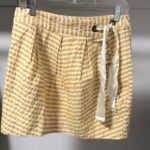 As you might know, thredUP is the largest online consignment and thrift store that buys and sells high-quality clothing for women and kids. You can shop on-trend, like-new fashion from top name brands and designers for up to 90% off estimated retail. (That is a huge discount, and you could assemble a whole new wardrobe for pennies on the dollar if you wanted to.) They have a huge selection, with brands like Anthropologie, Ann Taylor, J.Crew, DKNY, Cole Haan, Theory, Eileen Fisher, and more. Goody Boxes are their latest feature, and here’s how it works: You fill out a style quiz and pay a $10 deposit (down from $20 for a limited time) to receive a personalized box of 15 secondhand items from brands you love at ridiculously low prices. It’s all your sizes and curated based on what you like. You only pay for what you keep (with the deposit going towards anything you keep) and you return what you don’t like (using a free return label so you don’t pay shipping). They have completely custom boxes or you can choose a themed box. (And they have a “9 to 5 Styles” box filled with business casual items that could be great for work). I wasn’t sure how well they’d do at picking out clothes I liked, especially since I’m pathologically picky, but they did surprisingly well! 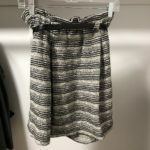 I’m returning a few items that weren’t quite for me, but I’m keeping a ton of it, including what you see pictured, like a black and white Alice + Olivia skirt, a super cute yellow Leifsdottir skirt, and a bunch of tops. Everything that I’m keeping that’s pictured here would retail for a total of $853 … and I’m paying $148.94, or 17% of the original retail prices, all without having to shop for myself. I was skeptical about that Sea New York shirt since I am not normally a stripes fan, but I dutifully tried it on and discovered I liked it. Which of course is an advantage of this kind of service – you end up discovering and liking stuff you wouldn’t have known to order for yourself. Also, you get a ton of things in your box. Unpacking it was really fun – 15 items is a lot, so you keep thinking you’re at the bottom of your box and then find more and more items tucked away in there. I got this Alice + Olivia skirt for $35.99 – estimated retail is $198 (a $162.01 savings). I got this Express silk tank for $13.99 – estimated retail is $44 (a $30.01 savings). I got this adorable Leifsdottir skirt for $18.99 – estimated retail is $179 (a $160.01 savings). I got this Sea New York shirt for $26.99 – estimated retail is $143 (a $116.01 savings). I got this Yumi Kim blouse for $35.99 – estimated retail is $214 (a $178.01 savings). I got this Banana Republic tank for $16.99 – estimated retail is $75 (a $58.01 savings). Want to try a thredUP’s Goody Box of your own? 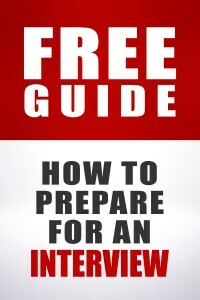 Click here to order yours now, and for a limited time, pay only a $10 deposit (down from $20)! Disclosure: This post is sponsored by thredUP. All thoughts and opinions are my own. I’m in desperate need for more hot-weather appropriate office clothes. I just filled out my order. Can’t wait to see the results. I just ordered this and I’m excited — I’ve been wanting to try thredUP but the selection is intimidating and most clothes don’t fit me. So having somebody else shop for me AND being able to return items for free sounds perfect. Aww, it sounds excellent, are there any plans for them to include men’s clothing in future? If women’s clothing manufacturers would get together and decide on “comprehensive sizing reform” where all size 8s are comparable and all size 14s are comparable, I would go for something like this. As it is I wear four different sizes. And it’s not just different lines of clothes are sized larger or smaller, but clothing within the same line. I can’t even depend on one Ann Taylor pant fitting in size 10 so all Ann Taylor size 10s of the same cut should fit. Nope, sometimes a 10, sometimes a 12, sometimes a 14. Cripes. Can’t we get some sanity in women’s clothing sizes? Please! Or if we could buy according to our actual measurements instead of an arbitrary numbered size, like men do. Yes! I struggled to fill in the pants size on the goody box form because I see a number size and I see a waist measurement and they’re nowhere close together. I wish everything was sized by plain ol’ measurements. For shirts, I know the sizes I tend to be, but I really, really need the length and bust measurement to know if it’s going to be ridiculous looking or not. I’d love jeans to always give the inseam, waist, and crotch depth. I’d really like bras to be given in cup width along with band width and cup volume. It’d be great to not have to guess and order 3-4 different sizes to hope that one of them fits, especially when I can really only order certain things online since no stores near me seem to have what I need (looking at you, bras!!). Yeah, I own shirts that range in size from M to 2XL, it’s very annoying. Adding bust or hip size helps, but you still have to look up each brand. I am glad it is not just me. I have skirts in every size from 2-10, and they all fit me. It is crazy. Thredup gives measurements as well as sizes on most items. Half of my wardrobe comes from there. I’ve only had to return one thing due to wrong sizing. I always find it hilarious in detective shows when they identify the murderer because of an item of clothing or a shoe print. Like, I have 6 different clothing sizes and 3 different shoe sizes in my closet. Sure, I left a size 8 footprint at the murder scene, but today I’m wearing size 7 flats so must not have been me! I tend to watch Bones for the unintended comedy more then the mystery. I 100% agree with you. However, I would say that the value of using this service is actually that a person whose job it is to shop is much more likely to be able to equalize sizes across brands they’re familiar with than we are. I use a personal shopper/box-a-month service from a different provider, and my shoppers consistently send me things that fit well. In the beginning there was a little bit of trial and error, but they learned really quickly from things that didn’t fit and adjusted, and were able to adjust their measurements and brands based on what they knew from other clothes they had sent along. Wearing a shirt I bought there right now actually. Unfortunately, you need to make an account before you can browse their wares, and I don’t want to do that before I know if they carry my sizes. At the moment they are showing items in sizes up to 32 in their inventory. Really? I started to sign up, but noped out when they wanted me to choose a dress size and the ticky boxes went up to size 14. (I hadn’t wanted them to send me dresses, because it’s so hard to get the waistline in the right place. But I admit “dress size” can be a reasonable estimate of overall size.) My clothes are mostly 16 or 18 these days, and I don’t want a box of clothes that are really nice and consistently too small for me. Actually, it looks like the Goody Boxes max out at 14. Apologies, I was looking at their overall inventory of individual pieces. Do you know what the smallest size they carry is? I think it looks interesting but since I wear a size 00 I can’t shop at a lot of stores because they just don’t go that small (or have only a tiny selection, or try to direct me to the petites, etc…). Thanks! 00 was an option when I signed up for the goody box! If you’re mainly interested in the goodie box, the intro questionnaire only has options of up to sizes XL for shirts and 14 for pants/jeans. :( I really wanted to try it for work stuff, but I’m a size 16 for pants and depending on how the shirt is designed, I may or may not be able to wear a size XL. Exactly!! I was so bummed! The site has plus size items but the box is only straight sizes. If sizing made sense I might try it for the tops but sometimes and XL is tiny and sometimes it is way too big. Yeah, I’ve had friends tell me to check out this site a couple times, but as you said, the boxes don’t go past 14. Also, the few times I’ve skimmed the Plus Sized offerings there just really isn’t a lot of cute stuff there. Just like a lot of other thrift/consignment-type situations, the Plus size section is pretty bleak. When a plus sized woman finds clothes she likes she doesn’t give them away since the real good stuff is so few and far between. I have been v happy with Gwynnie Bee which is mostly plus size; it’s more of a subscription model but they do have an outlet component. I simply want to look around the site. If I can’t do that without making an account, I’m not interested. Too bad, really, it seems like a great idea. Whoops, didn’t meant to double comment. See below. Awesome but for not carrying plus sizes. I have had good luck with ThredUp, and have a lot of pieces from them. I have not ordered anything in a while, but maybe I will keep the Goody Box idea for when I need to do a winter clothing refresh. I have been pretty happy with everything I have gotten in the past and they do have a decent return policy. This is awesome! But, frustratingly, not available in plus sizes. they do have some plus sizes – I wear 18-20 and can shop in ther regular site. Not sure if they have them for the goody box or not though. Yeah, they have plus sizes in their regular selection, but the goody boxes only go to size XL or 14. Exactly! The fact that the goody box stops at size 14 should be available before you start the process.AND, please someone correct me if I’m wrong, there is no way to contact them and tell them so. Just “read the FAQ’s” PS You are NOT too fat for anything. I read your comments and I have spoken. So there! Exactly. 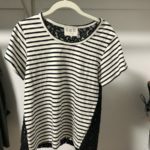 I love thredUP and have used it a bunch — its most valuable function for me is that it eliminates all of the sorting through clothes on thrift store racks to see if they have my (plus) size. I was excited to try the Goody Box, but so disappointed that it stops at dress size 14. I hope they’ll add plus sizes to this service soon! Can someone tell me if this is USA only or if they do Canada too? Well, I’m in Canada and as soon as I logged into my account (which I have had for a while but never actually used), the Goody Box option disappeared. How personalized is the style quiz? Are we talking an “I don’t like pastels” or an “I’m not allowed to wear flammable fibers at work” level of detail? Following this. I have contacted some of the other style services (Dia & Co., etc.) because I am allergic to rayon, but they couldn’t guarantee me that I’d only get clothes that don’t have rayon. And given how prevalent it is at stores, I wasn’t willing to risk getting a box of things I couldn’t even try on, much less buy. 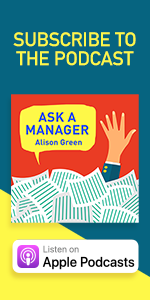 The quiz includes 2 open ended questions, which (paraphrased) are: What should we avoid? And What style are you looking for? So there’s an opportunity to provide some detail. Wow, I might actually have to try this! I hate shopping for clothes! I’m really irritated with Thredup. I got a goody box last winter when it came out, and it had a few really cool things but but they have decided to remove the ability for plus sizes to get one, claiming lack of stock. However I still get ads and emails encouraging me to order them. I want them to put a large “NO PLUS SIZES WE ARE SORRY” on the site and explain that yes, they have changed, but they don’t. THEN they say, well if you want us to do this you’ll have to sell us your clothing. WHICH I was going to do anyway but I am not sure anymore. I need better customer service from them. I made $1.70 in store credit. I like their site…I find more larger/plus size options than most in-person consignment stores, so I’ll continue working with them. But I’m very unlikely to go through the hassle of selling them clothes in the future. There is a local chain* called HIPS that is resale of exclusively sizes 12-32. I freaking love that place. I found a gorgeous red Kiyonna dress for only ~$60. * 3 locations, I think? I just donated a ton of nice work clothes to Goodwill from my business formal days this past weekend and was slightly kicking myself for not trying to sell them instead (I had never heard of ThreadUp before now). Your comment helped me feel glad again that I just donated them instead of going through the hassle with selling to them! ThredUp is never going to give you decent prices for selling stuff. I’ve packed a couple bags off to them, but mostly because it was convenient, since they pick up. And I know they recycle what they don’t accept (well, they’re probably actually selling it as scrap fabric) so at least it’s not ending up in a landfill. I’d love to order from this site, but it requires that I sign up before I can look at the selection and see whether they even have sizes to fit me. Can you suggest to the site owners that allowing me to browse *before* I sign up is a much more enticing option? I’m with you! I want to see if I’d possibly like the clothes before handing over my email. After my last Stitch Fix box was decidedly not up to par, I’m excited to try this! It sounded like a great idea, but they don’t do this service for plus sizes. If they’re watching for responses to their sponsored posts, I’d like to draw their attention to this one! I buy clothes from Thredup pretty frequently, which works fine, but the goody boxes are not currently available in plus sizes. 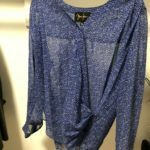 I’m a frequent ThredUp shopper, but my goody box was SO BAD. It was truly baffling. It seems they didn’t look at my previous purchases, my favorites, the Pinterest board I sent them, or my sizing info. I’m a 0-2 dress size; they sent me some 6-8s. It was so awful I sent it all back and took the $10 loss. Hey thanks! I went to check it out and discovered I had a $32 credit that I had forgotten about. Score! 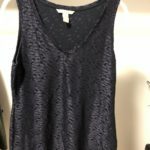 Overall, I’ve had good luck with thredUP but as with any shopping, buyer beware. I’m sending three items back tomorrow because they are more worn than the description depicted (and for the price, I am not interested). I got a clean-out bag after another of Allison’s sponsored posts and that experience seems to have gone pretty well, though I’m waiting for more of my stuff to sell before I buy anything. They seem to be missing out on a huge market. Hoping the company is having a look at these comments. 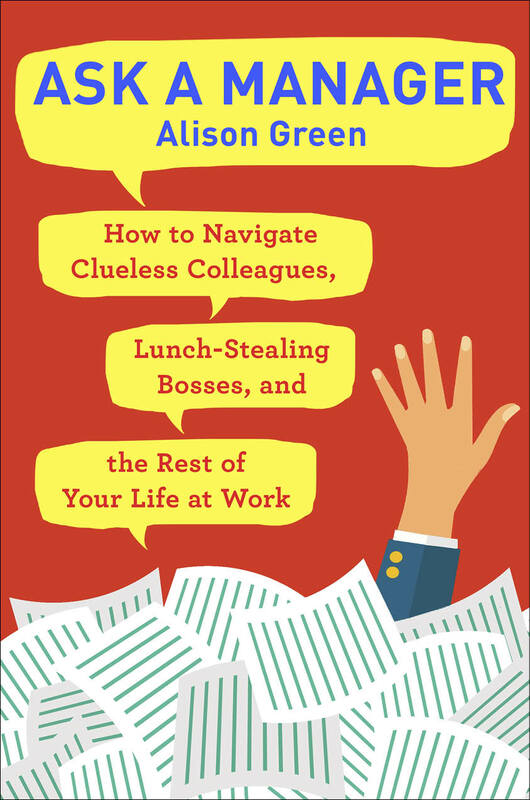 I made an account the last time Alison posted about this and got hammered with daily emails. That wasn’t pleasant, and there didn’t seem to be a clear way to reply to the “why oh why aren’t you shopping?” nag-type messages. Neither were the company’s big upcharges for dealing with Hawaii. Some upcharge, yes, I agree with. But not to this degree. Penzey’s is an example of passing along a fair shipping-cost differential, and I’d guess shipping cost on bottles (which require padding and strong boxes) is higher than on clothes. Can you rent the stuff by wearing it and returning it or is this only to try on to buy? I love Rocks Box which is a jewelry rental service that also has the option to buy. Joining in to say that no plus sizes means no dice, and not being upfront about the service limitations before vaccuming up people’s personal info is incredibly shady. ThredUp has gone on my list of sites-I-will-not-touch. This also makes me question the value of Allison’s recommendations and how much she actually vets the things she suggests. Allison needs to do a better job of being upfront about what exactly she’s lending her reputation to. Commenters should not be doing her work for her her. I spent the last 5 years working from home, and now I got a big promotion and work in an office 3-4x a week. My wardrobe consists almost entirely of yoga pants, so this is very well timed. I just ordered a box! I got a GoodyBox a while back and I loved the experience! I was a little disappointed that they sent me jeans when I had asked them not to, but, other than that, it seemed they paid attention to my style and preferences. I liked about 2/3 of the pieces they sent, but, due to fit, only wound up keeping 3 – still a success in my book! The prices were a little higher than I typically pay for resale pieces (all BCBG, a sleeveless “going out” shirt for $31, a “going out” dress for $36, and a top for work for $37), but I appreciated getting things I may not have picked for myself, and two of the three pieces I kept were brand new (with tags), so I understand that the prices may have been a bit higher because of that. I am so excited about this! I used ThredUP all the time before I moved abroad, and now that I’m moving back to the U.S in a couple weeks and need to get a bunch of new clothing, I will absolutely keep this in mind. I got about 2/3 of the way through this (I think) before closing the browser tab because I don’t know what sizes I take in the brands they offer. This morning I had email (nominally) from the CEO, saying they make a point of contacting anyone who signs up and doesn’t order, to ask why. So I told him–I have no idea what my dress size is, or whether I would need a “medium” or “large” shirt. I know my pants size for specific brands, but not the ones they carry. Now, to see if I get a useful response, and whether/how much other email I get from them. I was really disappointed with the Goody Boxes. I ordered one a few months back, got totally inconsistent sizes and styles (like it looked like they grabbed a random handful of the nearest clothing and tossed it in a box), and sent it all back. To their credit the customer service was pretty good and they followed up to ask to try again without charging an additional styling fee. I gave it another shot. Same thing. Totally bonkers selection of stuff, most of which wasn’t at all stylish or good quality. I ended up keeping one t-shirt that fit okay since I’d already sunk the cost. Would not recommend. Thanks for sharing. Loved the website and I will order from them soon. 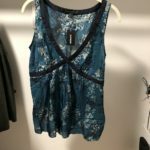 I am addicted to thredup, never tried the goody boxes. I am plus size but losing weight at a large rate so soon I will not be. I always walk 10, 000 steps or more a day and do archery and swimming. So, anyways, everything I got from thredup was either super cute or returnable. No hassle returns, and they give you credit if you do with free returns. So spectacular – – I no longer have to go out of my house to shop. So now that I am warned, I will try goody boxes when I can with no expectations.